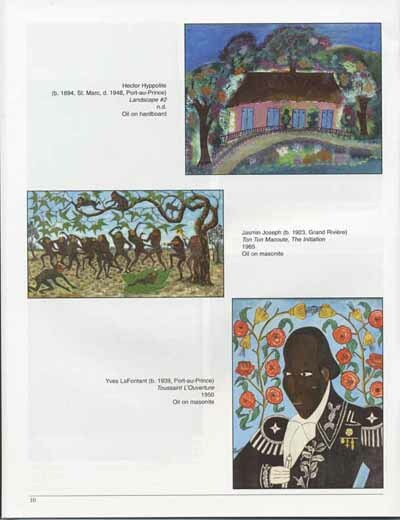 We have a few catalogs from the Winslow Anderson Collection of Haitian Art which was exhibited at the Huntington Museum of Art in West Virginia in the Summer of 2004. 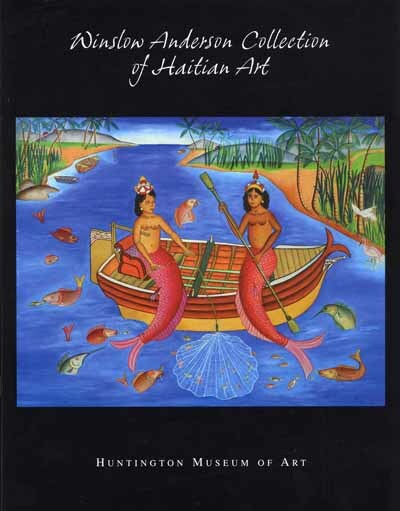 If you have any interest at all in Haitian Art, you should have this catalog. It is printed on high quality glossy paper, 8.5x11, 24 pages which contain 36 color images plus 10 pages of color thumbnails showing all of the 150 plus pieces in the show. There is a statement by Winslow Anderson and an introduction by Jenine Culligan who did a wonderful job with the catalog as she did curating the exhibit itself. 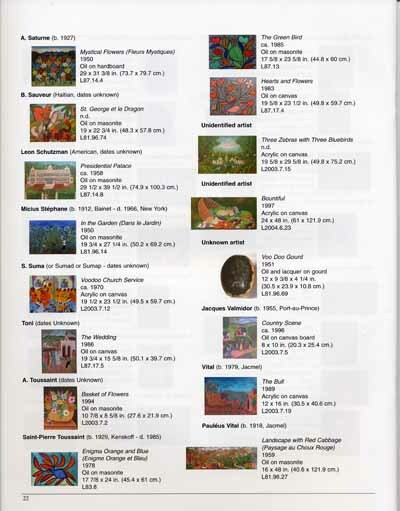 Accompanying the catalog is a second book, The HMOA members magazine which has additional photos of the exhibit. The price for both is only $12 including domestic postage. Make out and send a check to Bill Bollendorf, 5536 Bryant Street, Pittsburgh, PA 15206 and we will send you the catalogs by Priority Mail.